In January I was invited to speak to a group of ex-service personnel who were working with the Military Veterans’ Service. Offering psychological therapy the Military Veterans’ Service provides help to veterans across the North West. Dunham Massey National Trust’s successful Sanctuary from the Trenches; a Country House at War has recreated the Stamford Military Hospital in the state rooms in Dunham Massey. 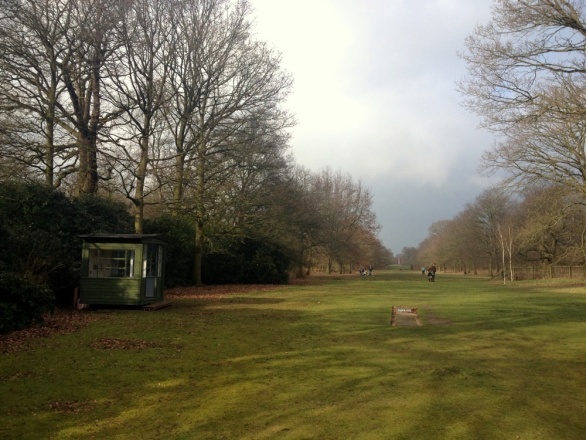 A doubling of visitor numbers has shown the general public’s interest in the subject. However, for 2015 the staff are keen to showcase further aspects of the medical treatment offered from 1917-19. Sister Bennett, the Hospital’s Matron was a keen advocate of outdoor healing practises. 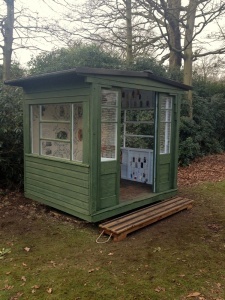 A pivoting wooden hut was situated in the garden at Dunham Massey, which provided sheltered outdoor space for soldiers. A picture in the archive shows wrapped-up patients out in the hut in the snow, receiving ‘fresh air’ and ‘sun bath’ treatments. 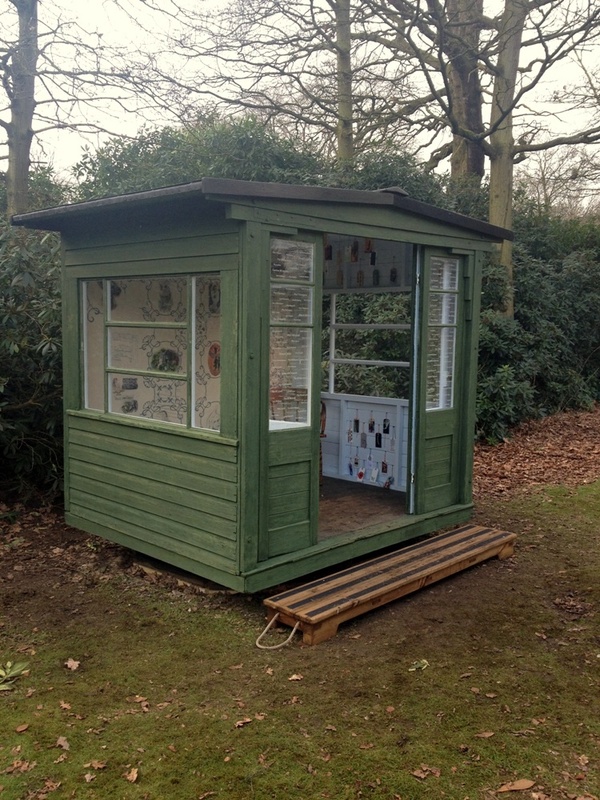 Dunham Massey’s ‘The Fresh Air Hut Project’ was designed to involve a team of volunteers working with the Military Veterans’ Service to create an interpretive visitor experience in an authentic replica of the pivoting timber hut. 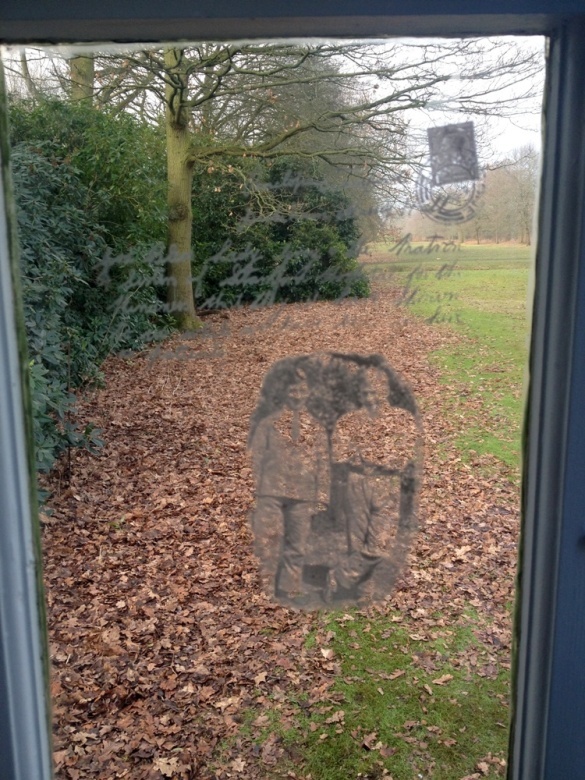 By using art therapy, the ex-service personnel could draw inspiration from their unique training opportunity and reflection upon their own personal experiences of military life. I spent a wonderful day with the veterans in early January, speaking about many of the stories of soldiers who had recuperated at Stamford Military Hospital. We were then treated to a tour of the house and able to watch recreations of soldier’s stories; the parts of soldiers and nurses being played by actors. With the information I provided the veterans were able to use parts of the stories in their art workshops. The result of their endeavours, the replica hut filled with artwork, was in situ when the house reopened in mid-February. 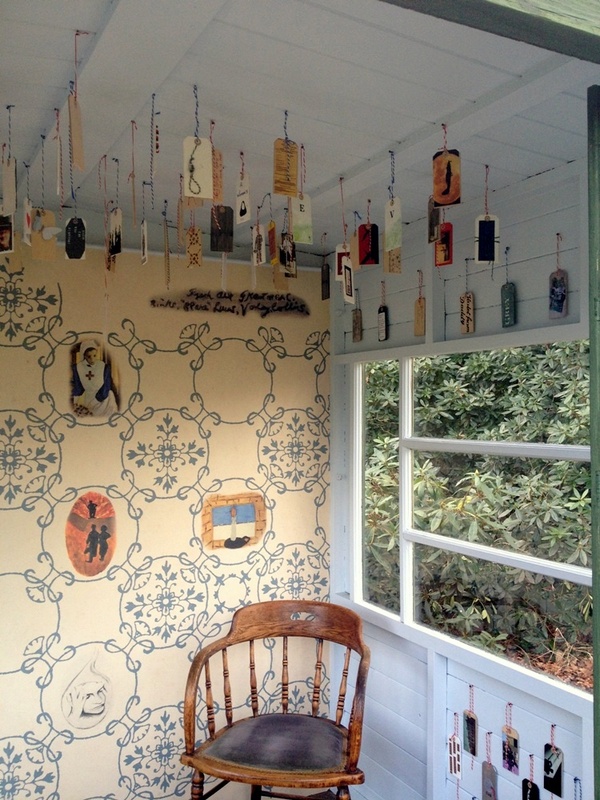 I visited on the first day, 14 February, and was struck not only by the skill and variety of the artwork but the sense of calmness and solitude the hut offered. Tucked away from view, it felt as if one had stumbled across the hut. 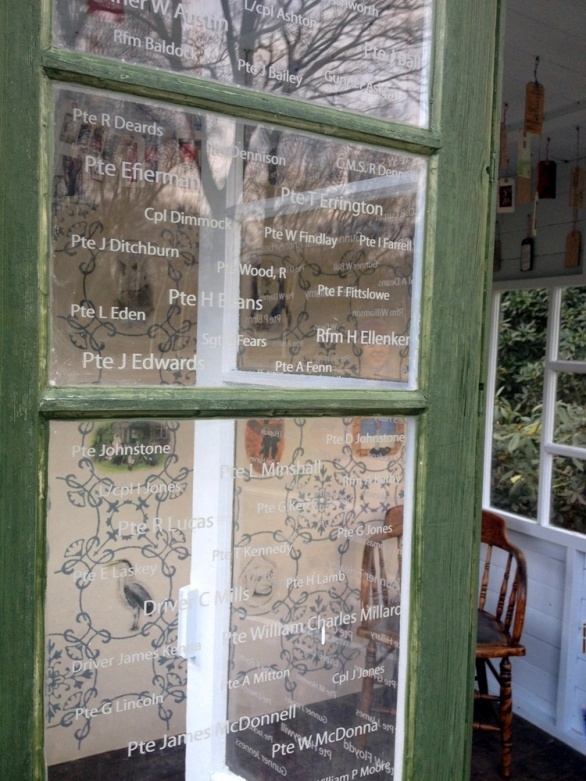 Windows etched with the names of soldier patients added to the overall feeling. My congratulations to the veterans who produced such brilliant work and thanks to the personnel who planned and worked with them on this.